A schoolgirl from London has become one of the youngest to pass an A-level examination. 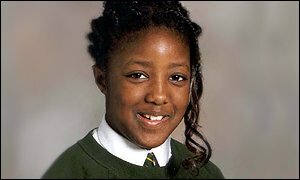 Anne-Marie Imafidon gained an E in her computing A-level and a grade D in her maths AS-level - both taken when she was 11. The record holder, so far as is known, remains Ruth Lawrence, who obtained her grade A pure maths A-level when she was nine. It is thought the youngest boy to have taken an A-level was Ganash Sittampalam from Surbiton in Surrey, who got a grade B in maths also at the age of nine. Her father, Chris, said Anne-Marie, now 12, had passed the exams in spite of having only two hours a week to devote to them alongside her normal studies. But Anne-Marie said she was disappointed by the result of her computing exam. "I was expecting to get a better grade. I feel I should have done better in computing than maths because I studied harder for it," she said. She added that she was planning to do the computing exam again next year as well as tackling the other maths modules. Her success comes after last year becoming one of the youngest to pass GCSEs in maths and information technology. Anne-Marie, who has three younger sisters and a brother, said she considered herself to be a "normal 12 year old" in spite of her early academic achievements. She said she intended to go on to study maths and information technology at university. Also celebrating A-level computing success today were two 15 year olds from Hertfordshire. Andrew Hersee and Kashif Zab, who go to different schools in Watford, sat their exams aged 14 after only nine months of study. Andrew received a grade B while Kashif got a C.
Andrew said he was glad to have had such a positive result from something which he had originally taken up as a hobby. "I was expecting to get a B or C because that's what I got in my mock exams but I put a lot of work into my computing A-level and now I've got something to show for it," he said.